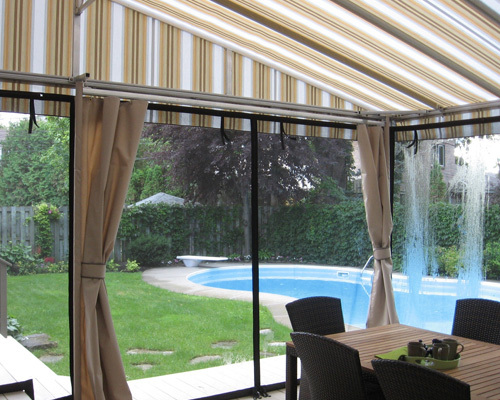 "At Décor Au Vent, we personally take care of your awning project at every stage, from conception and design to production and installation." Our company specializes in custom made awnings for residential, commercial and industrial projects. We offer all possible kinds of awnings and related products: stationary awnings, retractable awnings, gazebos, domes, self-supporting, entrance awnings, decorative window awnings, curtains (fabric, plastic or nets), and more. Create a comfortable outdoor space protected from the elements! Enhance your property, advertise your company and satisfy your customers and your employees!